Sunday, May 13, 2012, at 10:30 am, in order to launch officially the new playing ground Taman Air Menari at Taman Pintar, Jogjakarta’s Mayor Haryadi Suyuti and his staffs, Chief of Provincial Education Board Hari Suasana, Chief Manager of Taman Pintar Ms. Ita Rustanti, and the President Director of Sari Husada Boris Bourdin visited the venue of One Earth- Sari Husada Nutrition Educational Program . The attendance of Mr. Mayor and Mr. Boris was warmly welcomed by the participants of parenting of ” Nutrition Awareness Program ” that were having a question and answer session with the facilitator of Nutritional education, dr. H. Djoko Pramono. The enthusiasm of the parents’Nutrition Education participants didn’t subside when Mr. Mayor gave an explanation that the early childhood age group who are facilitated in this program are candidates for the nation’s future leaders in the future. Therefore, it is important to improve the quality of our of our human resources. Furthermore, he explained that it is not enough for us for only taking care of the the child’s physical health, with adequate nutrition, but also we must pay attention to the mental emotional development. Children shouldn’t be snapped very often and parents better communicate effectively from their early age. One Earth- Sari Husada Nutrition Educational Program is conducted every Sunday (09:30 to 10:30 am and 11:00 to 12:00) at Gedung Wahana PAUD Timur Taman Pintar. 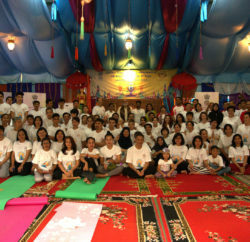 It is a collaboration between PT Sari Husada and One Earth Foundation Integral Education, Teacher Physicians and Psychologists Forum for Mother Earth and Spirit Revival Forum, dedicated to the children through a ” World Class Citizen children celebration” and for her parents through the “Nutrition Awareness Program”. Dr. N.W. Suriastini, Director of One Earth Integral Education Foundation in releasing program, revealed that since it was done the first time on October 23, 2011 untill now, more than 3,000 children and parents have joined the program. This Program aims to educate nutrition integrally to the parents and children to improve the nutritional status and physical and psychosocial health of children. Every week, it emphasizes on a specific nutritional information that presented in integrally, culture-based, universal-value-based and thematic. Educational system provided in that program is integrally facilitates the children and parent fostering the physical, energy, mental / emotional, intelligence, aspects and soul with the self-empowerment exercises. According to Anand Krishna (1998) consciousness layer of the human beings can be empowered by exercises for stress management, self-actualization and development of self potential. 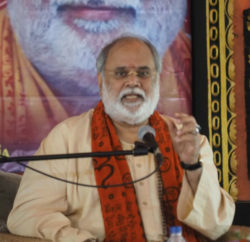 The introduction of consciousness layer and self-empowerment exercise (Anand Krishna, 2007) are given in each meeting in order to create relaxation and harmony in every layer to prepare each participant and support / enhance the absorption of new information that is provided in educational programs and changes in required behavior. In addition, the delivery of content, also emphasizes the noble values ​​of Indonesian cultural in conveying nutritional information. 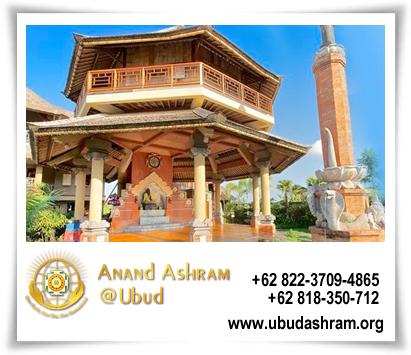 It is also based on universal value, and promotes the understanding and mastery in the Indonesian cultural values ​​towards internationalism by introducing a universal value of peace, love and harmony that integrated in nutrition educational program. Each week, one theme is delivered, children and parents is motivated to attend in a round that included four major themes, said Dr Suriastini in Release summary Program. After interacting with the parents participated in nutrition educational program, Mr. Mayor and Mr. Boris continued their observation to a place where children play and learn about the body and the importance of nutrition. On that occasion, the children were learning about healthy food and were preoccupied with their “healthyplate”, when the guests visited the hall in the building of PAUD Timur, They did not hesitate to greet the guests, even providing “toss” to Mr. Haryadi Suyuti. The cheerfulness, courage, and innocence of the children stimulated laughter of the guests who visited that afternoon. One Earth-Sari Husada Nutrition Educational Program which is done every week since October 2011 gives a lot of benefits for parents and children as demonstrated by the results of a study conducted by SurveyMETER. Panel study (data collected before and after program) conducted by SurveyMETER measured the impact of the program during October 23, 2011 – January 8, 2012. It documented that 91% of parents admitted to use the knowledge or training provided in the Nutrition Educational program . Even 95% of parents mentioned that the Nutrition Educational Program is not only beneficial for children but also for the parents. Nutrition educational program doesn’t only improve the knowledge about nutrition, but also capable of changing behavior and habits of the children. Seventy four percent of the parents reported a betterment in behavior or habits or knowledge of the children after joining the Nutrition Educational program (SariHusada et.al, 2012).